There are people who love trees, and people who love wide open spaces and expansive views. 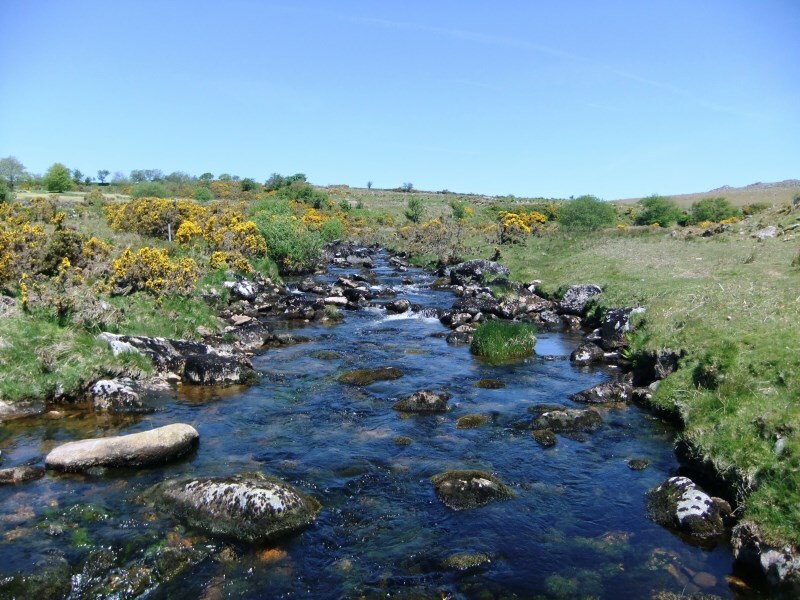 The latter group love Dartmoor because it’s one of the few places in southern England (apart from the coast) where you can see for miles and miles, whereas the tree-lovers lament the moor’s historic deforestation and the hectares of conifers that have replaced ancient woodland. I’m definitely a tree-lover and for that reason my walks on Dartmoor in the past tended to include some wooded areas, such as around Lustleigh, Yarner Wood, the Teign Gorge and Dart Valley. 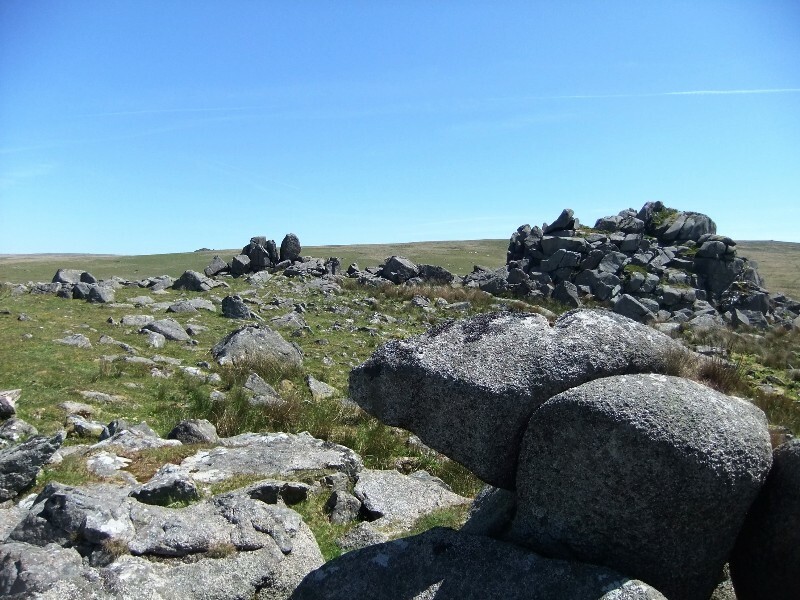 But when I decided to set up Dartmoor Walks This Way and began systematically exploring all corners of the moor and reading up about its past, I was inevitably drawn to its high open spaces. I discovered how much history is buried amongst these remote tussocks and boulders: prehistoric settlements and monuments have survived on the high moor because agriculture and roads have not encroached there; medieval leats and tin workings, vermin traps and peat tracks, longhouses and tiny cottages are still to be found; and the more substantial remains of industrial mining, quarrying and enclosures sit alongside. The area I explored last week is rich in all of this history, but not in trees – which is why it’s definitely one for a dry day. I walked from near Cadover Bridge up the Plym on the south side of the valley. Those of you who came on the Drizzlecombe walk will have experienced some of the north side of this wild valley. 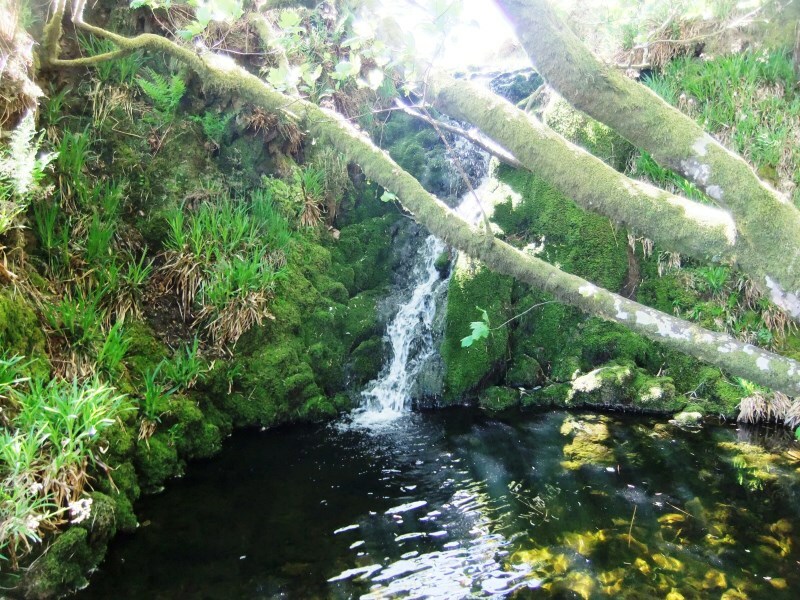 (It’s sometimes quite easy to cross the Plym in its upper reaches, but as there are no bridges or proper stepping stones and the level of the river is unpredictable, I have come up with a walk that sticks on the south side all the way.) Thanks to the hard work of the medieval tinners, the area around the Plym has been levelled and piled with heaps of stones, so walking alongside this delightful river is mostly easy going and a real treat. Skylarks and the gurgling of water was all I heard as soon as I’d got away from ice cream heaven at Cadover Bridge. When you draw level with the enclosures of Ditsworthy Warren, it’s time to leave the riverside and contour up the hill to visit Shavercombe Falls on a tributary of the Plym. Maybe because I spent many years in California and often visited Yosemite valley and Hawaii where the waterfalls plummet hundreds of feet sending showers of spray out from their feet, I always find Dartmoor “waterfalls” a bit of an anticlimax, to the extent of wondering if I’ve actually arrived or if there’s something more a bit further upstream. With Shavercombe Falls there is no doubt you’ve arrived (upstream is a virtually flat stretch of boggy moorland), but don’t expect anything dramatic. It is, however, very pretty. The river falls off the edge of the granite into a little canyon with a few trees growing around (hooray, trees). The pool it lands in would be good for a paddle but I think wild swimmers might struggle to manage a dip. After enjoying this beauty spot, I headed across Hentor Meadow towards Great and Little Trowlesworthy Tors. This area is littered with remains of farms, warrens and associated enclosures and the views northward over Burrator with the moor beyond, and south and westwards towards the Plym estuary and Cornwall are amazing. The tors at Trowlesworthy are dramatic granite formations and below are stone rows and associated cairn circles nestling in the valley. The Phillips Leat, which feeds the clay works over the hill, contours near the ancient monuments (it actually goes through one of the stone rows) and is crossed at frequent intervals by slabs of granite. Small trout dart about beneath. After crossing the leat on a more substantial bridge, a track passes Trowlesworthy Warren farm and returns to the twenty-first century world of car parks and ice cream vans. I met three people on the track at this point; before that, I’d seen a couple of figures on the horizon. Otherwise I had the whole Plym valley to myself. Look out for this walk as part of my Walks For Locals programme in July or August.